Scott Burt and Todd Pudvar in their popular Ipe Rules class. 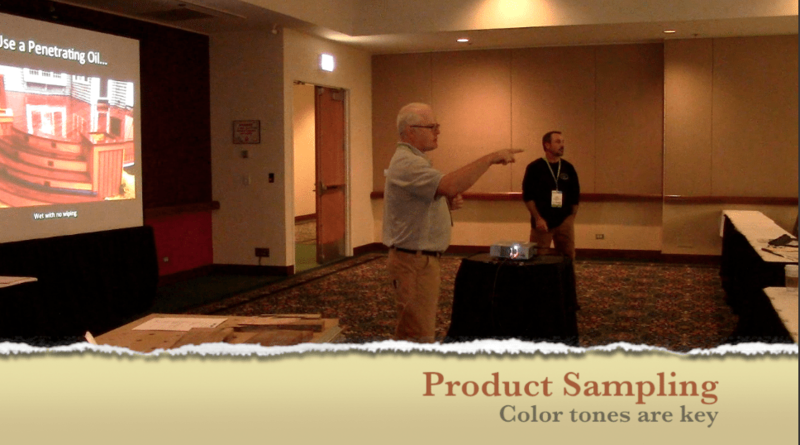 Wood snobs Scott Burt and Todd Pudvar, co-founders and trainers at Prep to Finish, taught an ipe class in Chicago at the 2015 Deck Expo held at the Navy Pier on October 1. The class included a power point presentation in support of the presentation on their popular Ipe Rules. The above video has just been released, sharing with the public 17 minutes of the Q&A that took place at the conclusion of the session. Pre-finishing: 3 sides or 4? Scott and Todd are regular speakers and clinicians at several of the national paint and remodeling industry shows.